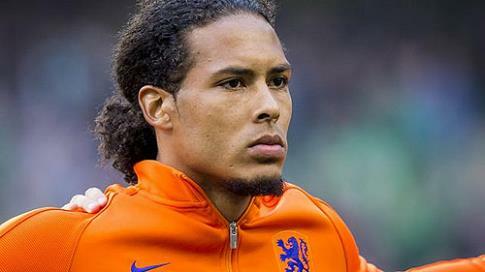 Liverpool could face competition from Juventus for Virgil van Dijk if they go back in for the defender in January, reports the Mirror. The Italian champions view the Dutchman as a potential successor to Leonardo Bonucci, who left for AC Milan in the summer. It’s thought Van Dijk is still keen to leave St Mary’s as he prepares to be reintroduced to the main group. Mauricio Pellegrino made him train alone after handing in a transfer request and telling the Saints he did not want to play for them again. Ahead of his side’s defeat to Watford, Pellegrino suggested to reporters that the pair had made peace. “The conversation is private but he is training with the team and training at the same level,” he said. Southampton may be more open to selling the former Celtic man to a non-Premier League club, particularly as their relations with Liverpool have been frosty. The Reds were forced to apologise amid allegations of tapping up. Chelsea are also interested, despite Antonio Conte having already signed Antonio Rudiger from Roma. Van Dijk hasn’t played for Southampton since suffering an ankle injury in January.